This week, Amtrak began testing 165 mph high speed trains for its Northeast Corridor line. Should these tests prove successful, commuting times to and from New York City could inch closer to the dream of 37 minute trips to Philadelphia and 94 minute trips to Boston. The new trains would be phased in to regular service and would even outspeed Acela Express service, which currently reaches a top speed of 150 mph. 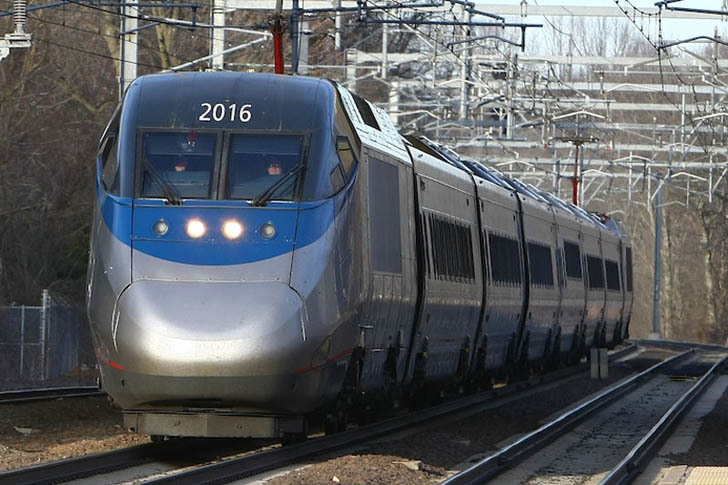 Amtrak will be testing out the faster service at two locations outside of New York before deciding if the high speed trains will be introduced to the Northeast Corridor line. Routes from Perryville, Maryland to Wilmington Delaware and Trenton to New Brunswick, New Jersey, as well as Westerly to Cranston, Rhode Island and South Attleboro to Readville, Massachusetts will be the sites of the runs. The tests will run the trains to 160 mph, five miles above their maximum operating speed. 160mph is also 15 miles above the speed limit in the Delaware and New Jersey testing zones, and 10 miles above the speed limit in Rhode Island and Massachusetts. Faster commute times for the price of regular Amtrak fares are great, but high speed trains also produce less emissions – making it even sweeter to use green transportation to and from New York City.